Gisèle Prassinos, The Arthritic Grasshopper: Collected Stories, 1934–1944, Trans. by Henry Vale and Bonnie Ruberg, with an intro. by Bonnie Ruberg, Wakefield Press, 2017. 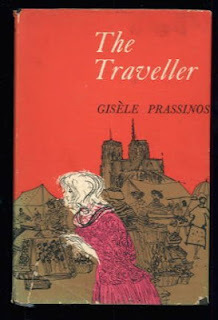 "Gisèle Prassinos (Born 1920) is a French writer associated with the surrealist movement. She was born in Istanbul, Turkey and emigrated to France with her family at the age of two, where they lived initially in Nanterre. Her brother Mario Prassinos is an artist and illustrator. Her writing was discovered by André Breton in 1934, when she was just fourteen, and published in the French surrealist magazine Minotaure and the Belgian periodical Documents 34. Her first book, La Sauterelle arthritique (The Arthritic Grasshopper) was published in 1935 with a preface by Paul Éluard and a photograph by Man Ray. Marianne van Hirtum observed that the surrealists of the time recognised these early writings as a "veritable illustration of automatic language par excellence". “I never knew how to write a realistic story. I never knew how to draw or to write life as it is. Each line, each word distracts me and pulls me towards the impossible,” explains Gisèle Prassinos in her semi-autobiographical novel Time is Nothing (Le Temps n’est rien). 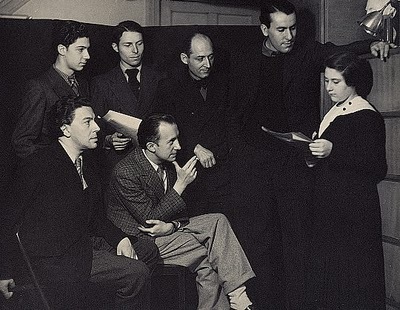 Best known as the precocious child poet adopted by the Surrealists as the embodiment of the “femme-enfant,” Prassinos continued to produce stories, novels and poems long after her association with Surrealism had ended, proving her true importance as an independent artist. What the Surrealists took for a juvenile ease in exposing the unconscious was actually the first sign of a burgeoning literary talent. intense association with the worlds of dream and myth. The construction of many of her stories is remarkably similar to the aspects of the dream-work as described by Freud, and leave the reader with the feeling of just emerging from a nightmare. Others incorporate the enduring themes and structures of myth, allowing her to create a personal Surrealist mythology. where are the flowery phrases of yesteryear?